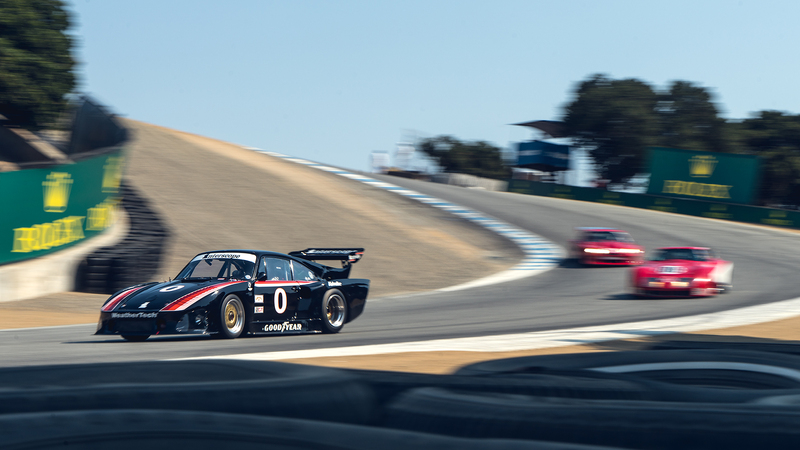 This gentleman's race at the Rolex Monterey Motorsports Reunion is anything but amateur hour. 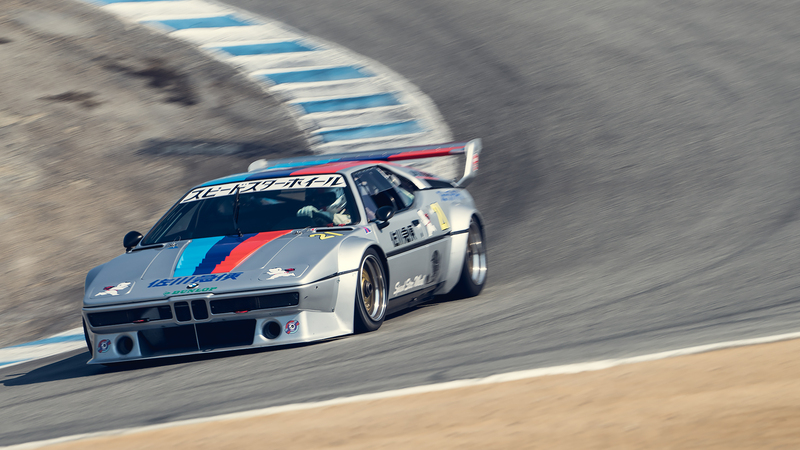 I’m feeling amped up in the pits at Laguna Seca, sitting in the deep-idling BMW M1, but also a little snakebit. Earlier in the day, I managed to spin the burly vintage racer on the opening lap of the morning’s race, forgetting that its gummy Goodyear slicks and wheels aren’t fully up to temperature. My bad. 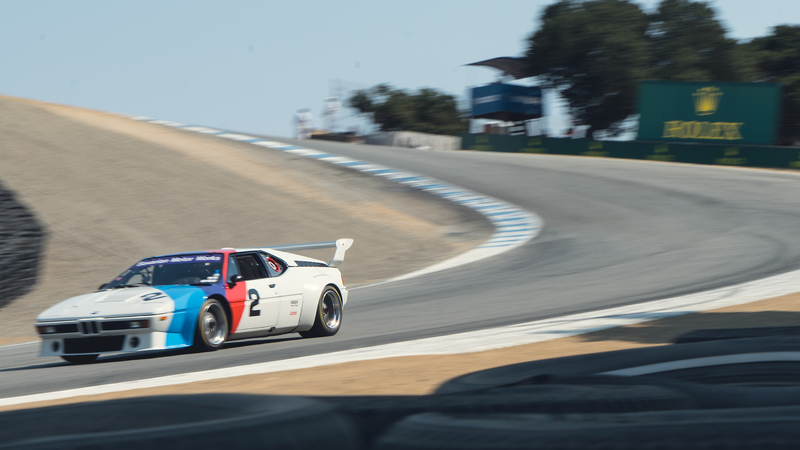 I point the 36-year-old mid-engine beauty back onto the famous road course, but three laps later, the white-winged Bimmer ominously wags its tail heading onto Laguna’s long uphill straight. I manage to catch the slide, but my heart sinks: The right rear tire is punctured. I limp back to the pits, and my morning session is over, before it’s barely begun. 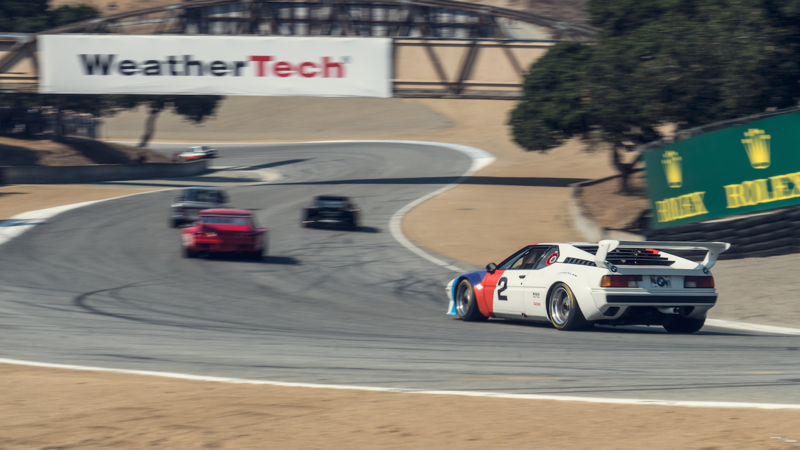 Romping this track-only M1 yesterday on winding canyon roads, in a police-escorted convoy of racers from the BMW USA Classic collection, is burned into my memory banks forever. But now it’s my last chance on track, probably the last time in my life I’ll ever stomp the throttle of an M1. 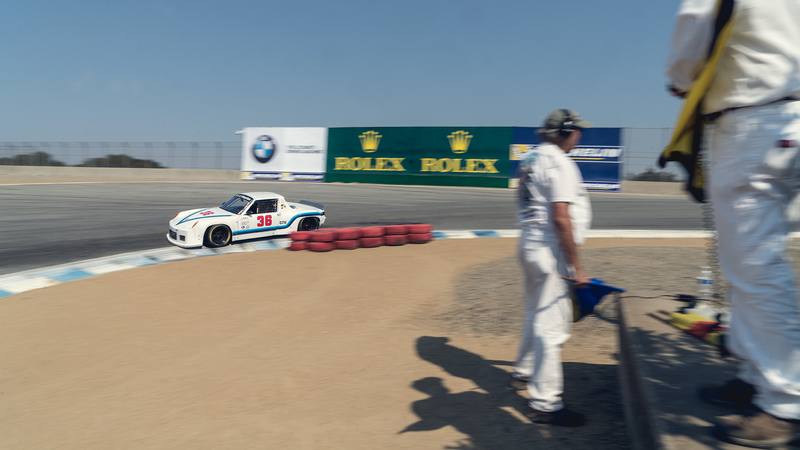 I’m lined up on an afternoon grid with a Who’s Who of championship-winning BMW’s, a battalion of far-more-powerful Porsche 935’s. A ’76 Dekon Chevrolet Monza, the H07-bodied racer car that won three straight IMSA titles, adds Detroit decibels, as does a ’79 Greenwood Corvette. 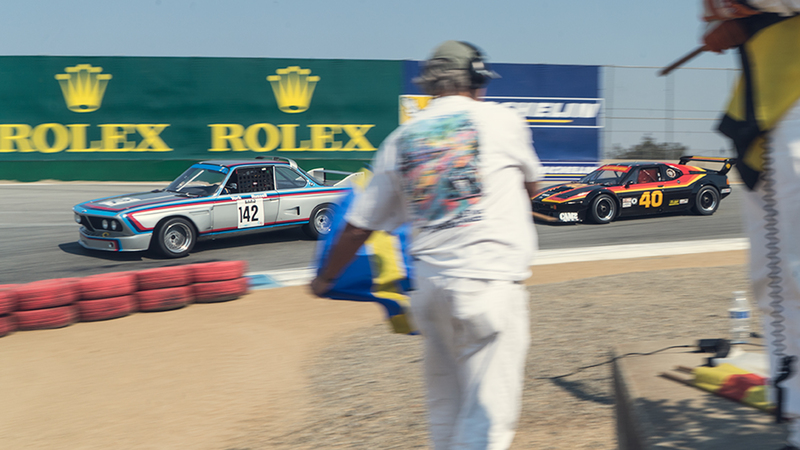 It’s my first-ever competitive historic race after two decades of testing mostly late-model cars on tracks—but in far smaller groups than this artery-clogging field of 45 cars. 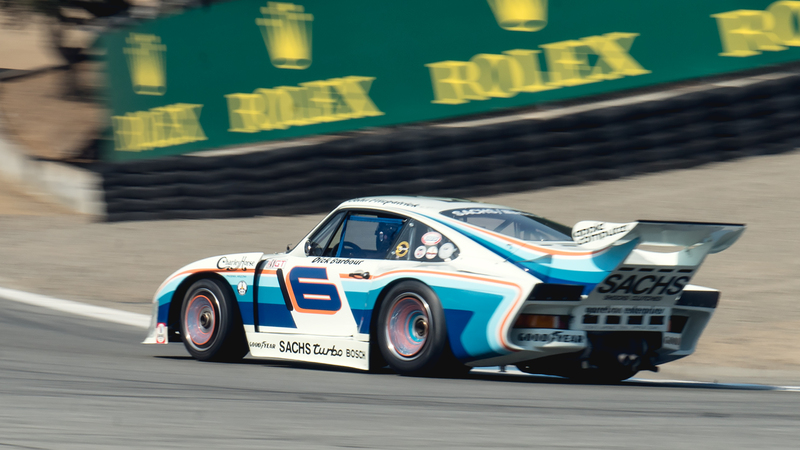 Some, including the circa 700-horsepower Porches 935’s, seem determined to treat this like a serious race, not the gentlemanly exhibition of legends that draws huge crowds to the annual Rolex Monterey Motorsports Reunion weekend. 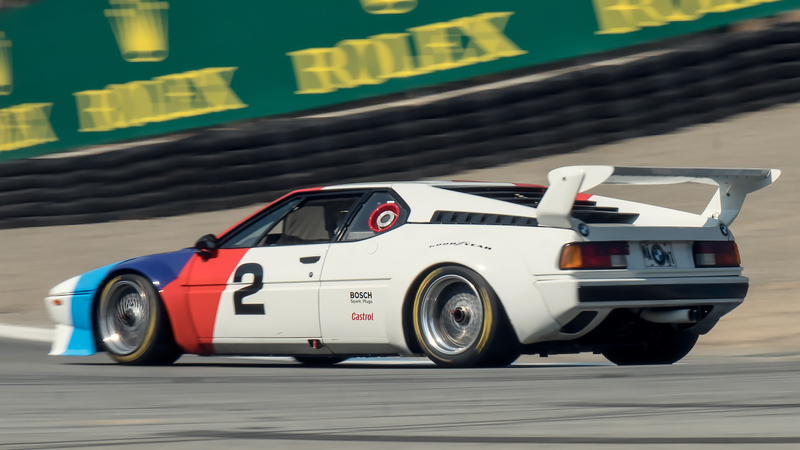 I’m cursing my mostly washed-out practice day at Mid-Ohio in the M1—the kind of beastly, old-tech vintage car that I rarely get to experience. My mission seems clear. I just want to drive one full race and see the checkered flag at the end. I don’t give a damn where I finish. Just being on this amazing track with these spectacular historic machines is enough. 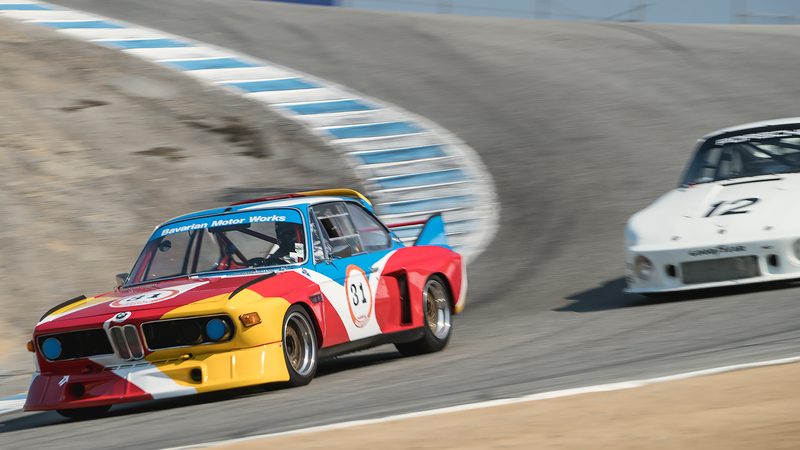 And my marching orders from BMW executive Tom Plucinsky—set to drive himself Sunday in a V-8-powered M3 racer—play in my head on permanent loop: Rubbin’s not racin’, especially in this group of rare and insanely valuable cars. Two, we’re quite happy with our BMW pro factory drivers, so this isn’t an audition for the team, but thank you for your interest. (That thought truly never crossed my mind). 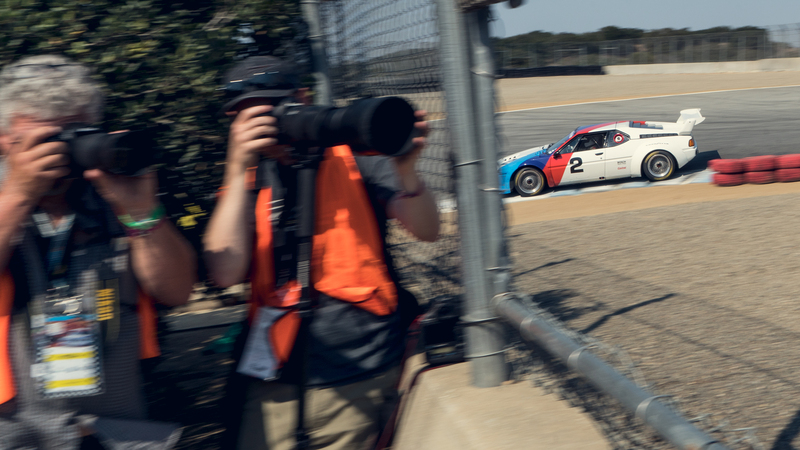 Three, the people come to Laguna Seca for a good show; there are no series points or prize money. So please, just bring our precious BMW back in one piece. I adjust my harness and draw a few deep breaths. We roll out onto the track and form two rows, following a pace car for a rolling start. This time, I make sure to accelerate and brake during the out lap, over and over, to heat up my wheels and tires. I’m starting from near the back of the field, and that's where I’m destined to stay. The mid-engine BMW sounds incredible, a frenetic six-cylinder churn as I approach 7,500 rpm (It’ll hit 9,000, but BMW has also cautioned me to keep revs down to save the engine), I’m taking it easy, driving at maybe 85 percent of what feels full out to me. I can feel grip galore—maybe 1.2 g’s worth of lateral stick. I usually rock Laguna Seca, late braking all over the joint and flying flat out over the blind crested straightaway. But I’m honestly not entirely comfortable in the volatile BMW, not after so little seat time and experience with its funky dogleg gearbox, which reverses the usual H-pattern and demand perfect heel-and-toe downshifts, every time. I make the decision to hit my apexes and be smooth, content to follow a vintage BMW sedan and savor every second of the experience. And what a full-on, bucket-list experience. One that, now that I’ve secured a full SCCA competition license, has me dying to get out on track in something affordable yet exciting, maybe a spec Miata or the tiny open-wheeled, Formula-style cars I love to drive. One thing’s for sure: There’d be less people around to watch me screw up. Do I wish I had pushed the BMW a little harder and tried to pull off a few sneaky passes? You bet. Am I happier that I handed the roughly $1.5 million racer back to BMW, unharmed? It’s not even a question. Lawrence Ulrich is Chief Auto Critic at The Drive.